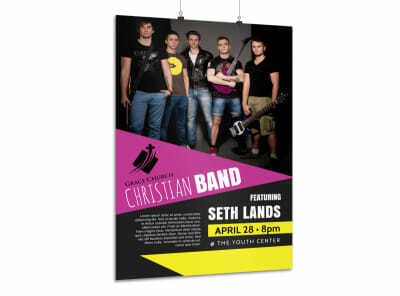 Customize our Live Christian Concert Poster Template and more! 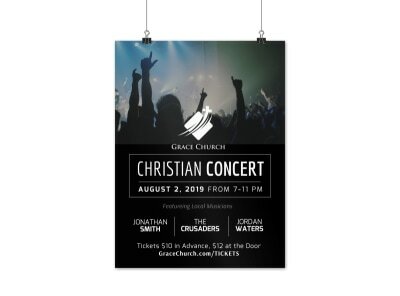 Reach out to youth groups and congregants with details on an upcoming live Christian concert with this easy-to-make poster. 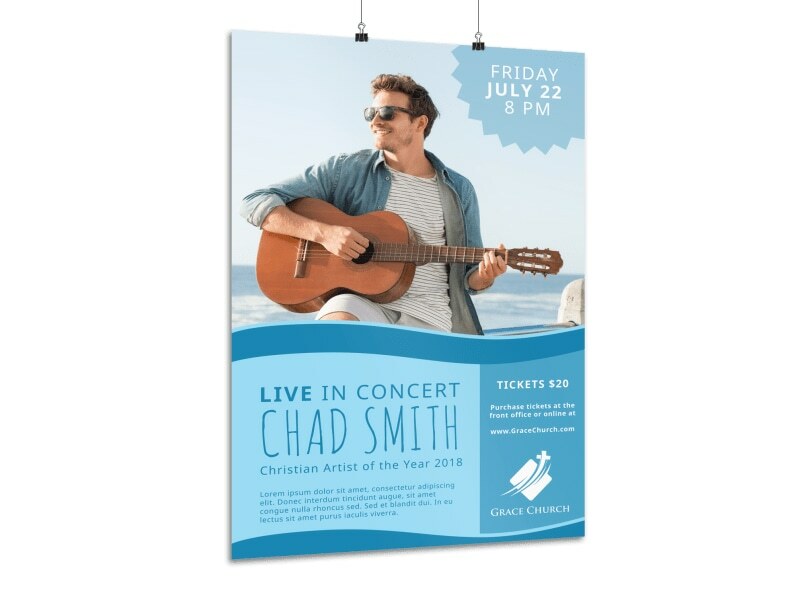 Choose your preferred color theme, font style, and insert images and additional design elements to complete your poster. 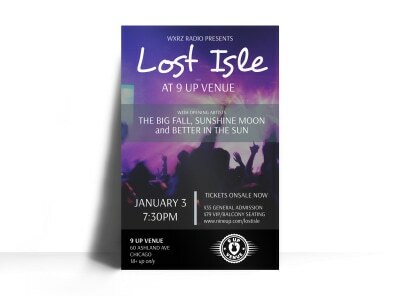 Make your design come to life today and have it ready for printing fast!